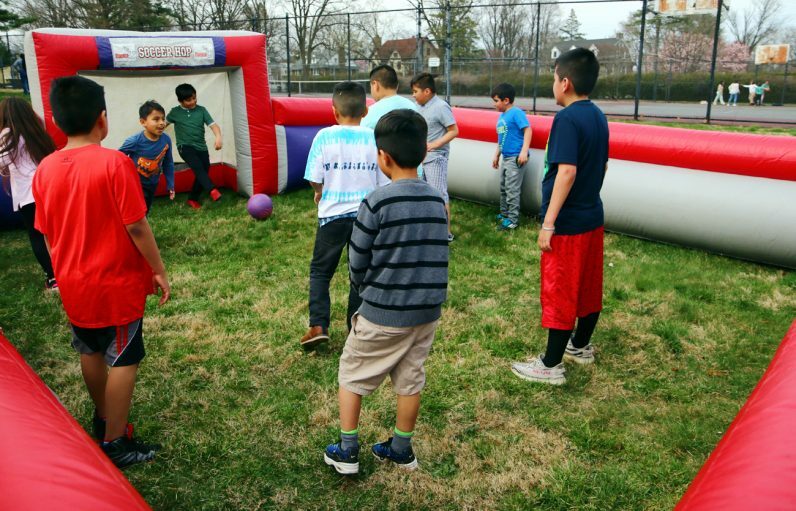 St. Charles Borromeo Seminary hosted Hispanic Family Day on Sunday, April 7, giving young Hispanic men and their families a firsthand look at seminary life. Approximately 260 people attended the fourth annual event, its largest turnout ever, according to Father Stephen DeLacy, vocation director for the Archdiocese of Philadelphia. Bishop Edward Deliman celebrated Mass in Spanish for attendees, with music provided by the choir from Our Lady of Fatima Church, a worship site of St. Charles Borromeo Parish in Bensalem. 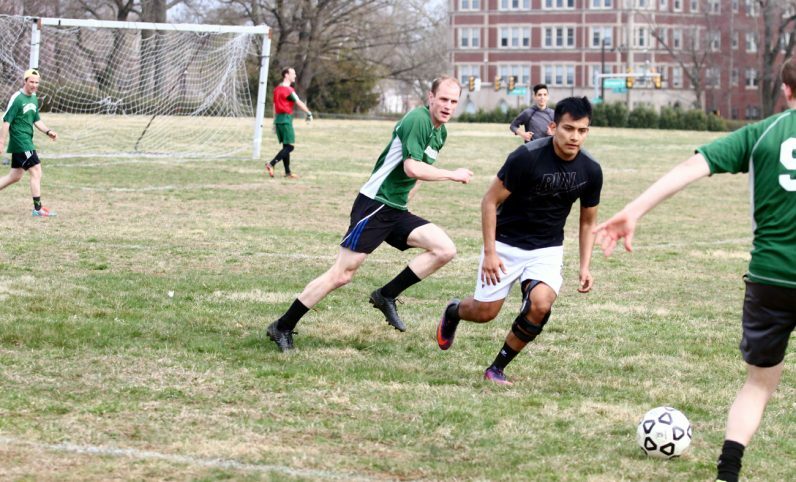 The event also included a tour of the seminary campus, lunch, games for children, a soccer match in which young men attending played against seminarians, and evening prayer in St. Martin’s chapel. The archdiocesan Vocation Office for the Diocesan Priesthood formed a task force in 2015 to increase priestly vocations from the Hispanic community. Father DeLacy said the idea for Hispanic Family Day arose in view of the Hispanic culture’s emphasis on family. Because of the efforts of the Hispanic vocations task force, there is “a large number of discerners now considering the call” to priesthood from the Hispanic community, Father DeLacy said. Father Daniel Arechabala visited St. Charles Seminary with his family when he was a young boy. In addition to his service now as parochial vicar at Queen of the Universe Parish, Levittown, and St. Mark Parish, Bristol, he is active in fostering vocations through the Hispanic vocations task force. 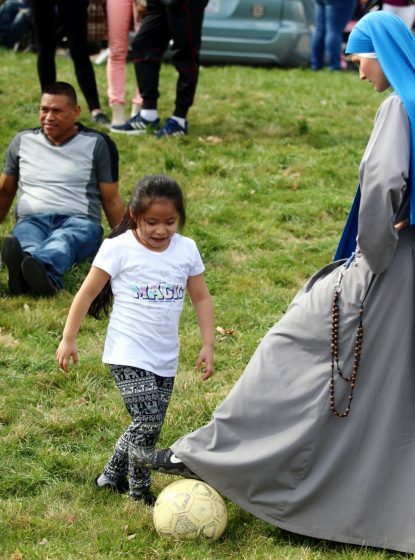 Hispanic Family Day also helps the visiting young men understand “that the seminary is a place of discernment, where young men can come to encounter Christ and better understand what he might be calling them to,” Father Arechabala said. Miguel and Adriana Gonzalez, Queen of the Universe parishioners, have a son who is a freshman in high school. They brought him to Hispanic Family Day to show him, as Miguel Gonzalez said, “a different kind of approach” to life. For parents with a son who might be considering the priesthood, Father Arechabala’s advice is to help him be open to God’s will. “In my estimation, the focus of the parents … would be to encourage him, but simply to be ready for whatever God wants,” the priest said. “It’s important that young men make this decision (to discern the priesthood) because God is calling them, because nothing else will sustain them — it’s only going to be that relationship with Christ.